Last week’s crack down of six organized illegal food production facilities at the Cemetery or Eziukwu Market in Aba, Abia State, and arrest of 14 persons by the National Agency for Food and Drug Administration and Control (NAFDAC) sends a warning signal to job seekers, landlords or property owners. 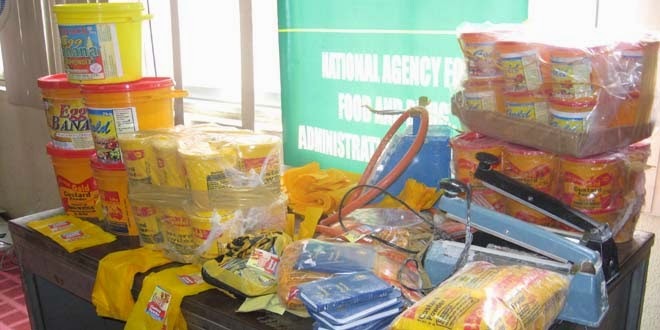 This latest breakthrough by NAFDAC led to the closure six organized illegal food production facilities and arrest of 14 persons, mainly young persons, who were working there, where different brands of food products-among which were popular brands of Custard Powder were being counterfeited. The incident shows that parents and guardians should be wary of where their wards work, just as landlords are to be cautious of persons and companies they let the properties to as well as the kind of business done in their premises. 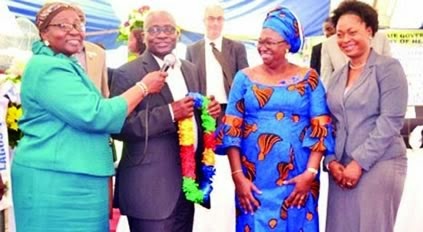 The Director General of NAFDAC, Dr. Paul Orhii, has already assured that his agency was going to collaborate with Lisabi Mills (Nigeria) Ltd, whose flagship product, Gold’s Custard has been a subject of faking and counterfeiting, to flush out the fake products from the market, urging consumers to cooperate with them. 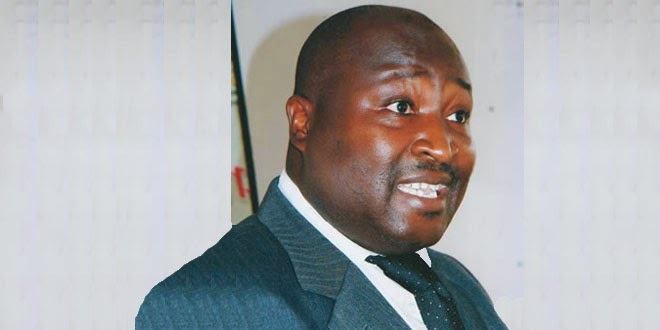 Orhii spoke last Friday, during the parade of the 14 arrested persons and samples of the fake different brands of counterfeit food products including, Custard Powder, in the company’s corporate head office, Oshodi, Lagos. 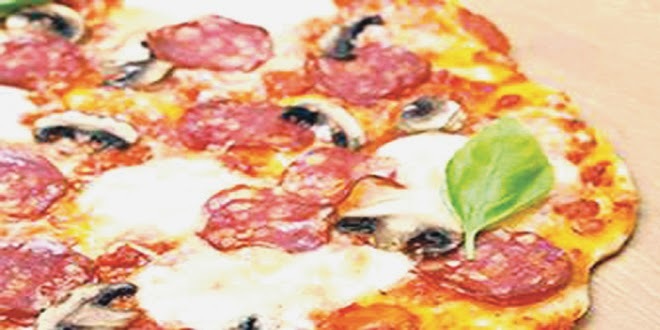 The NAFDAC boss noted that the new strategy of the agency to fish out those who deal in counterfeit and substandard regulated products has begun to yield results with the successful discovery of the organized illegal food production facilities. 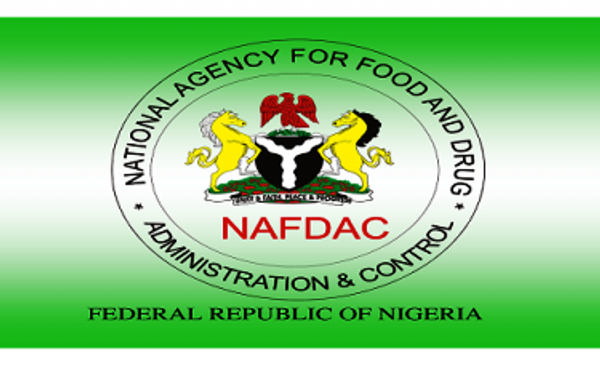 He therefore warned stakeholders and general public to demonstrate positive attitude and collaborate with the National Agency for Food and Drug Administration and Control (NAFDAC) in the fight against counterfeit regulated products. Orhii stressed the importance of stakeholders and general public, especially the market unions, to to work closely with NAFDAC in this fight. “We have extended our hand of collaboration to all our stakeholders in this regard. I also would like to call on the general public, especially the market unions to work closely with NAFDAC in this fight,” he said. According to him, the latest breakthrough was made possible through collaboration with Lisabi Mills (Nigeria) Ltd, who reported that their flagship product, Gold’s Custard has been a subject of faking and counterfeiting with losses of several millions of Naira monthly. This is apart from the attendant injuries these counterfeit products cause on unsuspecting Nigerians who use them, Orhii said. Following a directive from his office, the DG said the Federal Taskforce immediately swung into action in close collaboration with Lisabi to investigate the case and bring the culprits to book. 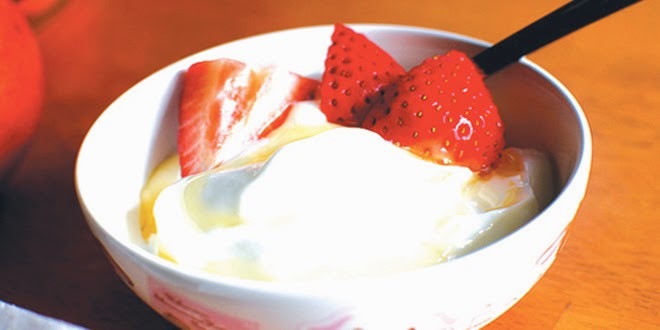 Through investigations, “it was discovered that different brands of food products among which were popular brands of Custard Powder were being counterfeited and sold in the markets. Further investigation led us to the Cemetery or Eziukwu Market in Aba, Abia State where an organized illegal food production facility was located,” the NAFDAC DG said. Those arrested are: Akabueze Emmanuel, Ngozi Moughalu Cecilia, Chisom Ikem, James Ndobueze, Chika Emmanuel, Chinyere Nsofor, Victoria Chibueze, Nnenna Onuwa, Oluchi Ukpai, Onuoha Chidinma, Nnnena Chukwu, Ogechi Chukwu, Anurika Iloanya and Nwadike Emmanuel The items discovered were: bags of uncertified industrial corn starch, gas cylinders, sealers, generating sets, promotional items such as notebooks, weighing scales, spoons among others. Other items are finished products of popular brands of Custard Powder which include: Gold’s Custard Powder , 100 buckets x 2kg; Gold’s Custard Powder, 16 cartons x 2kg; Gold’s Custard Powder, 200 x 500g; Gold’s Custard Powder, 50 x 80g, Gold’s Custard Powder Sachet’s , five bags x 24 x 18 and Egg Banana custard, 2kg x 100. The DG further said that the operation suffered some hitches prior to its success. His words: “The operation was not without few incidences as attempts were made by the mob around the scene to cause confusion that will lead to breakdown of law and order, which may eventually result in the failure of the operation, but for the mature conduct of all members of the combined team.” He reiterated his stand on zero tolerance to counterfeiting in line with President Goodluck Ebele Jonathan’s Transformation Agenda. Orhii pledged to ensure appropriate enforcement of the breach of the agency’s regulatory provisions, including, demolishing of any building that is used as a manufacturing or warehousing facility for counterfeit products. “We will not relent in this effort till we bring the level of counterfeit products to the barest minimum in this country,” he said. Reacting, the Managing Director, Lisabi Mills (Nigeria) Ltd, Mr. Shex Ladipo, commended NAFDAC efforts in the fight against fake drugs. Many describe cerebral palsy as a deadly disorder, describe how it manifests based on your experience? Cerebral Palsy is the most common childhood physical disability. It is a permanent physical condition that affects the movement. It describes a group of disorders of the development of the movement and posture, causing activity limitation and that are attributed to non-progressive disturbances that occurred in developing foetal or infant brain. The incident in developed countries is approximately 2.25 per five thousand births. Cerebral palsy is a non-progressive disorder. While severity varies widely, cerebral palsy ranks among the most costly congenital conditions to manage. Cerebral palsy is an “umbrella term” in that it refers to a group of different conditions. It has been suggested that no two people with CP are alike even if they have the same diagnosis. Cerebral palsy is divided into four major classifications which describe the different movement impairments. These classifications reflect the area of brain damaged. The four classifications are: Spastic; Athetoid; Ataxic and Mixed. Spastic cerebral palsy is further classified by topography, dependent on the region of the body affected. These typography classifications include: hemiplegia in which one side is being more affected than the other; diplopia in which the lower body is being more affected than the upper body and quadriplegia in which all four limbs are affected equally. Cerebral palsy cannot transfer from one body to another. So people should look after these patients with affection and not hatred or sarcasm. Many scholars acknowledge that ataxic, Athetoid, spastic and mixed are the relevant forms of cerebral palsy; however, various conditions and subtypes may exist. Also, a common misnomer is that CP causes mental retardation when in fact; only individuals whose brain damage is associated with the hippocampus actually had these difficulties. While learning difficulties and CP may occur, it is common for individuals with CP to have normal lives when their lives are managed coherently and effectively. This means that if a person with CP can focus on scholastic achievement or improving social skills, rather than on when they will get their next treatment, that individual is going to fare better than when the necessary assistive technology is not available. Since the last several decades, there have been considerable advances in obstetric and neonatal care. Health experts care for unborn babies and premature infants better than before. However, despite these important advances in medical care, up to 1 in 250 children are born with some form of cerebral palsy (CP). Are there genetic forms of cerebral palsy? Many children are thought to develop CP as a result of unavoidable complications during delivery or related to extreme prematurity or maternal infection. For those without this history, an MRI scan can provide valuable clues that help explain a child’s CP (showing a stroke that occurred during development or a region of the brain that didn’t form correctly, for example). Although many children have a readily identifiable cause for their CP, for most children the cause of their CP is something of a mystery. Researchers have recently, shown that for a substantial proportion of children with CP, their condition may be genetic. More recently, a research group has identified a new gene that leads to CP when mutated. How substantially single gene mutations contribute to CP is controversial and subject of ongoing research. However, there are limits of current knowledge. Despite recent advances in genetic technology and capabilities, there is still a lot of room in the knowledge about the role of genetic factors in a given child’s CP. If CP doesn’t run in one’s family, could ones child’s condition still be genetic? For many genetic diseases, such as cystic fibrosis, there is no prior history in the family. Instead, both parents are carriers of the condition, and each of their children has a 25 per cent chance of inheriting the disease. It is rare for several family members to have CP. Studies of families with multiple children with CP has formed the basis of what we know about CP genetics today. What are the unique emotional challenges of accepting a child that has been diagnosed of CP? The developmental challenges which a child with CP faces vary tremendously. Even at the time of diagnosis it’s not necessarily clear what individual challenges your child may or may not face. And what you hear may not even prove accurate. This means that as a parent it may be unclear what you will need to accept. Parents of children diagnosed with CP respond with varying emotional state of hope, despair and relief. It is usually tough and confusing. Several parents suffer emotionally for long because what they are being asked to accept may be challenging. The ground levels out with time. As your child gets older, you learn more about yourself, your child, this journey, and you become better equipped to weather the storms. You will look back and lift others up who are losing their balance. How do you explain disability to a child? Whether you are explaining a disability to a child who has one or to a non-disabled child, the following key concepts should be kept in mind. Compassion: Show a child you fully understand what a hurtful thing a disability can be. Communication: Explain as much as you possibly can about the disability so a child does not become frightened by the unknown. Comprehension: Make sure a child understands that the disability is never the child’s fault. Competence: Convey the sense that even though a disability is very hard to deal with, a child with a disability will make progress and learn to do new things. It is important to know how to address a child with a disability and those without a disability. For instance, when speaking to a child between two and four with a disability, you could say: “We don’t know why, but sometimes children are born without everything their bodies need, and that’s what happened to you. That means you’re going to have to work harder and we’re going to work hard to help you.” For those between the ages of five and eight with a disability, you should try to empathise with them. For instance, you could say the following: “It’s really tough when your body can’t do everything you want it to do. It’s not fair that you have to work so hard to make your body do what you want. But everyone has some activities that are easy for them, and some that require more effort. You have this problem, but you’re lucky to have lots of talents, too.” For those between the ages of nine and twelve with a disability, you should try to empathise with them. For instance, you could say the following: “It’s a bad incident for you to be born with a disability that makes things harder. But remember your abilities, too and work to strengthen them. It’s natural sometimes to feel angry but try not to give up.” However, if you are speaking to a child between the ages of two and four without a disability, try and encourage them to identify with others with disability. You could explain thus: “Most children like you are born with everything they need, but sometimes children are born without everything they need. Sometimes they need crutches or wheelchairs or braces to help them do what you do naturally.” If you are speaking to a child between the ages of five and eight without a disability, you could try to provide details for them on why they have to have compassion with others with disability. For instance, you can appeal to their conscience this way: “Children are different and have different strengths as well as things that are hard for them. Some things that are easy for you to do are very difficult for other children to do. It takes a lot of courage for children with physical disabilities to keep trying and working at it.” For those between the ages of nine and twelve without a disability, try and encourage them to support their peers with disability. For example, you can tell them this: “Whenever you see someone with a disability, remember that even though they are having a hard time, they are still children who need friends and understanding. Explain how assistive technology and supportive living can help those living with the condition? Assistive Technology is a generic term for devices and modifications (for persons or within a society) that help overcome or remove a disability. The term is also used to describe any device, software or resource that can increase skills and maximize an individual’s potential due to any of the following: economic limitations; language barrier; cultural differences; educational barriers and the disability itself. Often, there are technologies available that can help increase the opportunities of individuals with developmental disabilities and enhance the quality of their life and that of their families. However, adults, as well as families with children who have special needs, especially those living in developing countries often have difficulty accessing conventional resources. The first recorded example of the use of a prosthesis dates to at least 1800 BC, followed by the wheelchair which dates from the 17th century. Other examples are standing frames, text telephones, accessible keyboards, large print, and Braille as well as speech recognition software. Apart from these, people with disabilities often develop personal or community adaptations, such as strategies to suppress or hide their limitations in public, or sign language that is used in deaf communities. Since personal computer has become more ubiquitous, more organizations are urged to collaborate develop software and hardware to make computers more accessible for people with disabilities, with some of them being specifically designed for people with disabilities, such that others which were not specifically developed for people with disabilities, can be used to increase accessibility. What does assistive technology solutions involve? Assistive technology solutions vary from the simple to the complex, but they all tend to have one thing in common assisting people with a wide range of disabilities and impairments to overcome or better cope with their limitations and thereby, achieve greater independence. Given that each solution is individualized to meet the user’s unique needs, it can take both time and an equipment trial period to find the appropriate solution and one that offers the most benefit. However, this process can be greatly enhanced by an individual assessment/consultation and training. What does ‘supported living’ entail? Many definitions of the term ‘Supportive or Supported Living’ abound, but the one that best describes the term is this one by the State of Oregon in the United States of America. ‘Supported living’ is defined as persons with disabilities living where and with whom they want, for as long as they want, with the on-going support needed to sustain that choice. Direct support services can be provided by paid staff, including live-in roommates or boarders, paid neighbours and hired attendant. Experts, friends, families, and other “informal supports” can also assist people to live in their homes. How can public-private partnership help researchers and address cerebral palsy? Parents and advocacy groups are urged to support research on the genetic basis of CP. CP research has historically been underfunded when compared to other childhood diseases. Parents and families can help reverse this inequity by supporting organizations whose agenda focuses on needed research. You or your child can participate in the Cerebral Palsy Genetic Research Collaborative. Over a decade ago, World Bank (WB) health specialists some countries, that anti-retroviral (ARV) treatment, the only lifesaver for people living with HIV, should not be its priority because it would exhaust the country’s health budget. One of such countries is India. However, WHO on Sunday, after releasing its new guidelines, at the International AIDS Society meeting in Kuala Lumpur, Malaysia, said immediate treatment of the nine million persons will halt spread of the disease. According to the new guidelines the total global spending on AIDS which will rise by 10 per cent is put at $26.4 billion yearly up from the $24 billion it used to be. The world health body directed that young children and certain other people with the AIDS virus should be started on medicines as soon as they are diagnosed, in new guidelines that also recommend earlier treatment for adults. 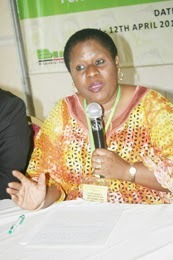 It further noted that the advice will have the most impact in Africa, where nearly 70 percent of people with HIV live. Many rich countries already advocate early treatment. Reasons for update on ARV-history This is because WHO revised its ARV guidelines on 30 June, thereby making AIDS-treatment more universal. WHO now says that more people, who had hitherto not been advised to start ARV, should also be put under treatment, which means people should go on treatment much earlier than before. WHO’s new “Consolidated guidelines on the use of anti-retroviral drugs for treating and preventing HIV infection” asks all countries to start ARV for people living with HIV whose CD4 count is 500. 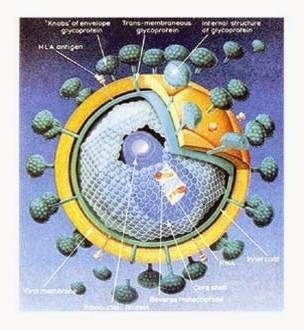 CD4 is a marker for immunity in people living with HIV; the lower it gets, the sicker they get. Earlier, the WHO had advised people to start ARV when the CD4 dropped below 300, the threshold when people fell ill. In the initial years, it was even lower — for some it was 200 and some, 250, by which time some people might have already fallen sick. Even 300 was an optimal barrier because some people fell sick to various infections before the CD4 reached there. The new standard of CD4 500 makes it incumbent on countries to give ARV to its HIV-positive people much earlier, long before their immunity is compromised. Scientific evidence shows that starting treatment early has tremendous benefits, particularly in keeping their immune systems healthier, if not intact. If countries can comply with them, we might see many people living with HIV not falling sick at all, at least for several (more) years after they get infected. It will reduce the burden of illnesses such as TB and other infections, morbidity and even deaths. 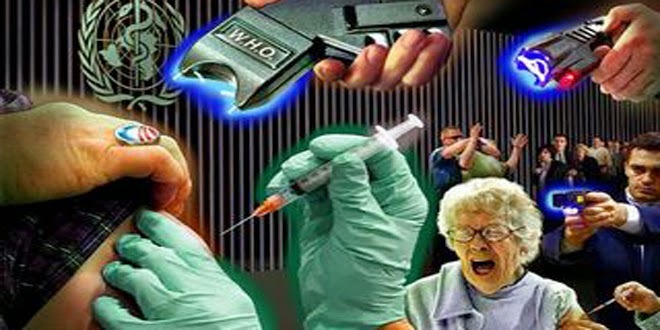 AIDS will finally get a real make-over as a chronic condition such as diabetes. The next birth of baby without HIV to a mother, who suffers from the disease, will bring the number of babies born without infection to one million in Sub-Saharan Africa following ten years of US aid programme. According to health experts, this will mark another remarkable step in the long fight against HIV and AIDS, as the United States and its global partners work towards what they call an AIDS-free generation, which just a decade ago would have been unimaginable. Mother-to-baby transmission has long been a source of concern among governments and organizations working to control the spread of HIV. But more effective anti-retroviral drugs and regimens are now dramatically cutting the chances of an infected mother passing on the disease to her baby during pregnancy or breastfeeding. The millionth baby born HIV-free was Tuesday to be trumpeted as part of celebrations to mark the 10th anniversary of the US President’s Emergency Plan for AIDS Relief, known by its acronym PEPFAR. The biggest fall in transmission rates from mom to infant has come since 2009, US Global AIDS coordinator Eric Goosby told AFP, Tuesday. “Somewhere round 430,000 babies are born annually with HIV and this project that we’ve been in really since the beginning of PEPFAR and has intensified over the last three years in partnership with UNAID and UNICEF,” Goosby said. In Ethiopia and Malawi, the ratio of new HIV infections to the increase of patients on treatment is just 0.3. The figures are startling. Ethiopia — which with a population of 84.7 million is the most populous African country after Egypt — for instance registered only 11,000 new cases of HIV in adults in 2011. Launched under former president George W. Bush, PEPFAR was an initial commitment of some $15 billion over five years aimed specifically to provide anti-retroviral drugs to HIV infected people. That has risen to a budget of about $5.5 billion annually, including its contribution to the Global Fund — the world’s largest financing organization of programs to fight AIDS, tuberculosis and malaria. And although some 1.7 million people still die every year from AIDS-related illnesses, PEPFAR supports more than 5.1 million on treatment programs. The program estimates that worldwide more than 16 million children are living without one or both parents who have succumbed to AIDS, while millions more are left vulnerable with their parents chronically ill. In a week time, Nigeria will formerly join the league of over 35 other African countries that have wiped out the guinea worm disease after it has received the World Health Organisation’s (WHO) certification if there is no report of new infection. Precisely, between June 24 and July 14, the International Commission for the Certification of Dracunculiasis Eradication of WHO will be in the country to certify Nigeria free of the disease, also known as dracunculiasis, a debilitating parasitic infection that affects people living in remote, poverty stricken communities. Also called ‘impoverisher’ in communities, guinea worm outbreaks in South East alone cost rice farmers an estimated $140 million annually within a period of seven years, 1988 and 1995. This is an equivalent of N22.4 billion today. Reports from the Carter Centre’s Guinea Worm Eradication Programme stated, “Disease outbreaks in south eastern Nigeria alone cost rice farmers an estimated $20 million annually in the late 1980s.” Also, a similar report from the centre in 2008 said the disease still cost $20 million in lost income to rice farmers alone as at mid 1990s. 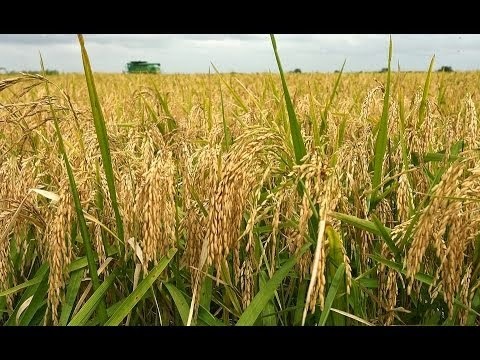 “In the mid-1990s, guinea worm infections in part of the heavily populated region of South East Nigeria caused an estimated $20 million in lost income to rice farmers alone,” the report said. Reacting to what it cost Nigeria to eradicate the disease, Mr. Buki Ponle, member, NIGEP’s steering committee, said the loss could not be quantified in monetary terms. In an interview conducted on telephone, he said a farmer with guinea worm has trouble working. 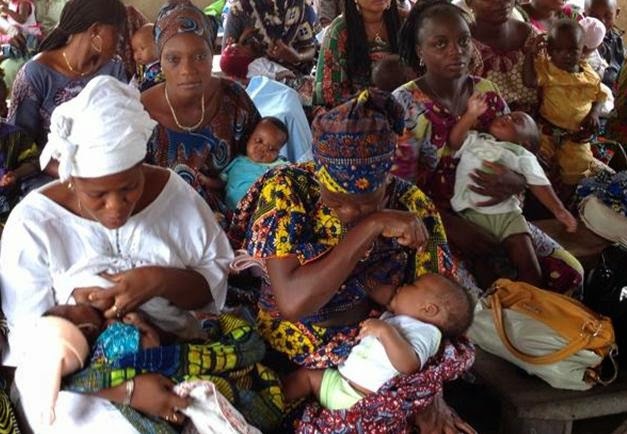 Mothers cannot take good care of their children or carry them to clinics for vaccination. Children lose many weeks of schooling, and eventually drop out of school. Similarly, the World Bank estimated $1 billion in annual loss in production of marketable goods in the early 1980s due to the disease. Carter Center worked with the Ministry of Health to spare thousands of people from suffering from this devastating disease, beginning from 1988. Between 1988 and 1989, Nigeria was the most guinea-worm-endemic country in the world, reporting more than 650,000 cases in 36 states. For instance, the country conceived the Nigeria Guinea Worm Eradication Programme (NIGEP) in 1988 to spearhead the eradication campaign in the country. This story was published in Newswatch Times on June 11, 2013.